On the one hand, jazz seems at a bit of a low point—especially if you’re looking squarely at the genre as interpreted by purists, with LA LA LAND showing the tension between that higher guard and the encroaching mainstream. But the sounds of jazz and, I would argue the musical philosophy of the genre, has never been as culturally influential as they are now, with mainstream artists like Kendrick Lamar, Chance the Rapper, and notable members of Odd Future having collaborated with jazz artists to great effect. You know the associated vanguard of younger musicians and related acts: Flying Lotus, Thundercat, Robert Glasper (of the famous Experiment), the August Greene project, and, of course, Kamasi Washington, each with musical chops that are as undeniable as they are undisguised. Their music is, from a mainstream perspective, weird. But weird, as fate would have it, is in demand: none of these artists are doing Beyoncé numbers, but all of them have achieved a strong measure of mainstream success, headlining festivals and pulling aforementioned high-profile collaborations with chart-topping artists of yesterday and today like Common and Kendrick. But despite being in spitting distance of a mainstream lane, with HEAVEN AND EARTH Kamasi Washington communicates a comfortability with exactly where he’s at: the world of jazz, and more specifically, its progressive elements. HEAVEN AND EARTH is on the groovier side of the genre’s avant garde, but it is uncompromisingly a jazz album. A double album running at nearly two-and-a-half hours, it is harmonically dense and rich—ultimately culminating in a record more comfortably sat next to Branford Marsalis’ discography than, say, Kenny G’s. The first album’s (EARTH) aptly titled opener “Fists of Fury” has a double meaning. On the one hand, the instrumentation and grand musical gestures, including string instruments and the addition of a choir to a full rhythm section, harkens back to the kind of cinematic funk that dominated soundtracks of martial arts-inspired ‘70s Blaxploitation movies. But it signals its second meaning through its lyrics, most notably: “Our time as victims is over / We will no longer ask for justice / Instead we will take our retribution”; just try to listen to that, at this point of the track, without putting a fist into the sky. Much of the album continues in this vein, as HEAVEN AND EARTH attacks the beat aggressively, with a vengeance that delivers a pulsing and driving intensity. The grandiosity of the choral ensemble and strings are well chosen to supplement, notably on the album’s next track “Can You Hear Him.” Washington shows off the complexity of the team’s songwriting with fun, weirdly mixed-meter jams that are among the album’s best, offering some of most engaging songs the project has to offer (particularly “One of One,” the closer to EARTH). 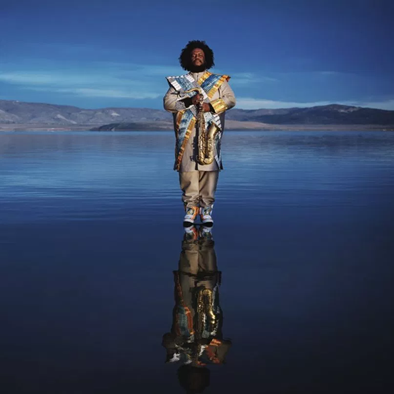 Though the second album, HEAVEN, chills out a bit, with more prominent big band and funk influences, it’s somehow the stronger half of the project; the band never seems to loses pace or steam, and Kamasi’s blazing solo on the album’s penultimate track, “Show Us the Way,” may be the record’s most impressive—if you don’t find religion by the time the closing number, “Will You Sing” starts, it may not be in you. Fans of jazz will find what they came for in HEAVEN AND EARTH: world class individual musicianship from a band that is clearly listening very well to each other. Eclectic music aficionados will appreciate the daring decisions on “One of One,” “Fists of Fury,” and “Will You Sing,” but even pop music fans will find ways into this album—particularly crowd pleasers like “Street Fighter Mas.” If you’re any of these people, Kamasi has got an album for you. BIG BABY D.R.A.M. by D.R.A.M.